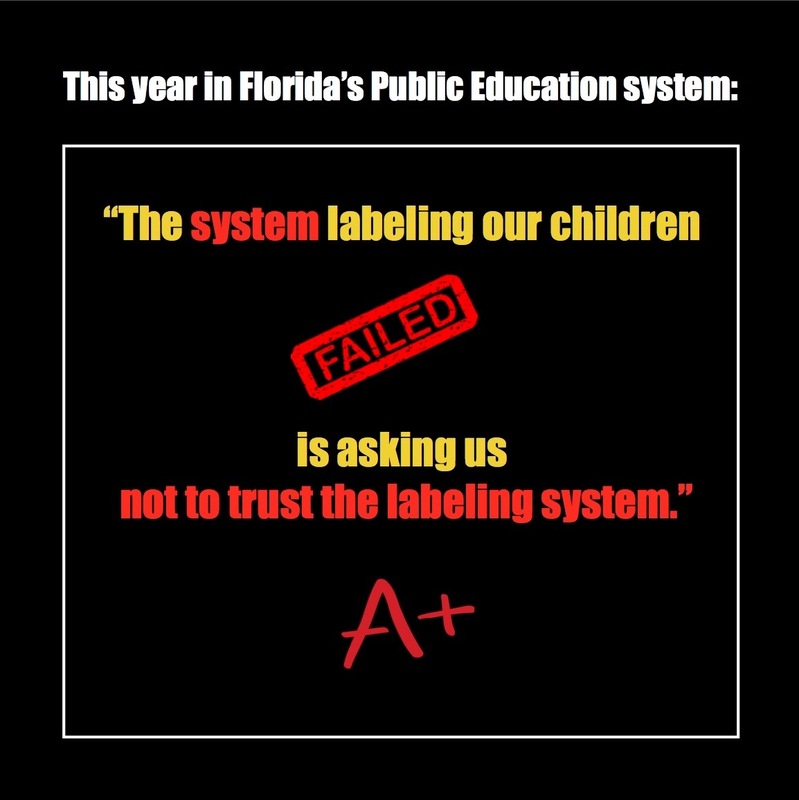 The system labeling our children is asking us not to trust the labeling system. On July 6 and Seminole County on July 7, Orange County Public Schools (OCPS) and Seminole County (SCPS) issued joint press releases. Orange County Superintendent Barbara Jenkins and Seminole County Superintendent Walt Griffin caution community to consider 2015-2016 as the baseline year. July 7, 2016 – School grade calculations as determined by the state using the Florida Standards Assessment (FSA) will be released in the coming days. Superintendents Barbara Jenkins of Orange County and Walt Griffin of Seminole County encourage parents, students, and the community to view the 2015-2016 school grade calculations as our baseline year. These school grades will reflect learning gains made by students which could not be captured from the 2014-2015 FSA as there were no previous, similar tests to use for comparison. 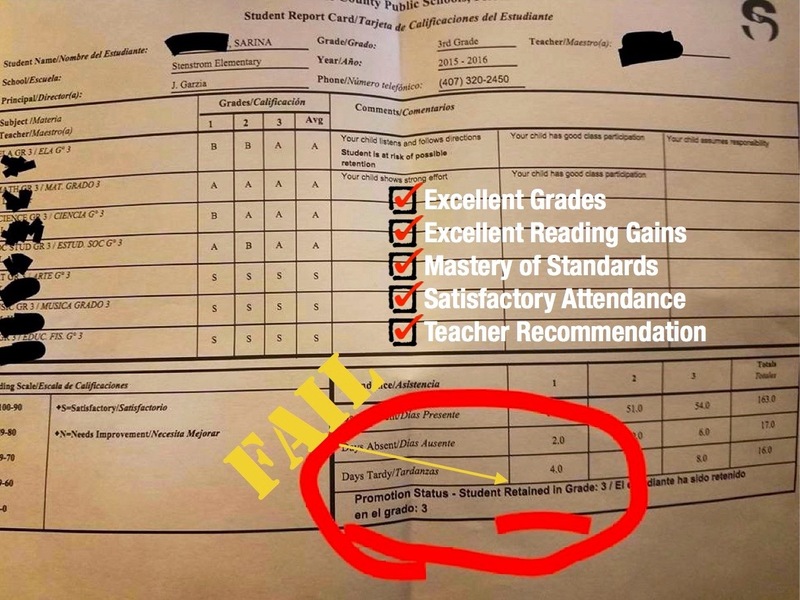 It was noted in the release of the first year of FSA-determined school grades that the grades were only partial, so any comparison to this year’s grades would be inappropriate. For example, high school grades do not account for students who successfully completed Algebra 1 in middle school. Also, the 2015-2016 high school grades are calculated using data from 2014-2015 in areas such as graduation rates and how many students who take advanced coursework. These factors do not depict accurately the high schools’ measure of success. Both superintendents stand firmly behind the hard work of their students, teachers, and administrators. 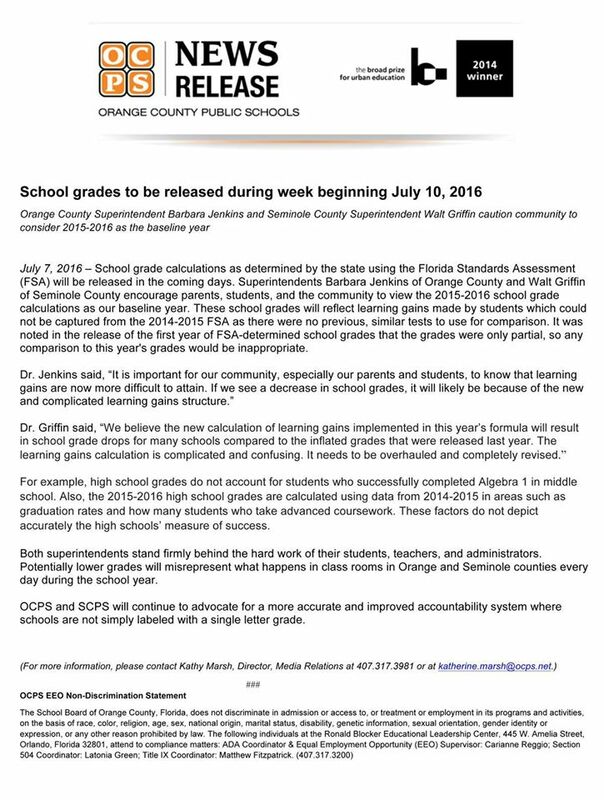 Potentially lower grades will misrepresent what happens in class rooms in Orange and Seminole counties every day during the school year. 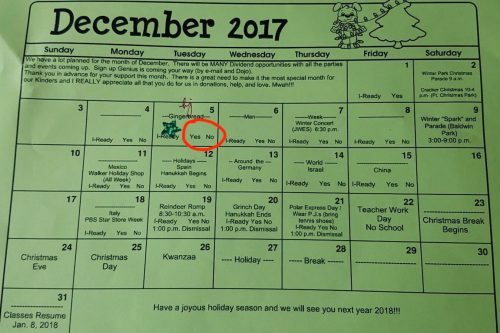 As school grades have nothing to do with the actual teaching and learning that happens in schools, does this mean that superintendents will finally advocate for the abolishing of school grades, which are the driving force behind the state’s high stakes test-obsessed accountability system? Orange and Seminole are two of the twenty districts, which failed proficient third grade students, who had no FSA score, because their families took a courageous stand for them to be evaluated on their work done during the year, as opposed to just the FSA. This coming from two of the districts failing proficient 3rd graders. High stakes good enough for our babes to be judged, punished, and failed..but a plea from you not to be judged by those same high stakes. It’s almost as if these districts are hypocrites. If anyone would like to see report cards of proficient third graders marked retained, please visit The Opt Out Florida Network page. It’s wrong to use the FSA for school grades since it doesn’t actually measure learning gains. It measures income not outcome. 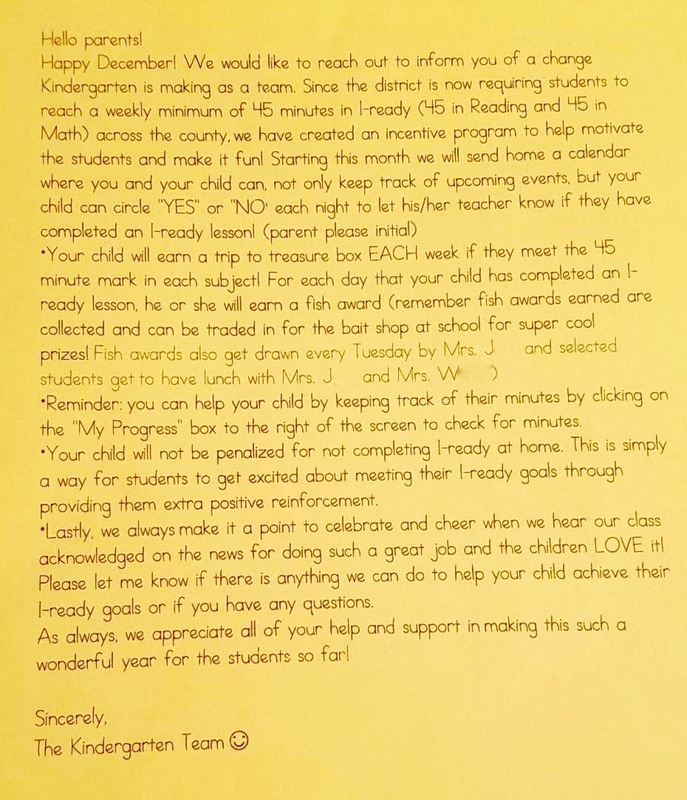 Using this method deprives money to the schools that need it most. The best interests of children and their education are in opposition to the (private corporate) interests of the majority of FL legislators. Must superintendents be thrown under the reform bus and backed over repeatedly before they will stand up to strongly oppose the lobbyists for the best interests of CHILDREN and oppose school grades? 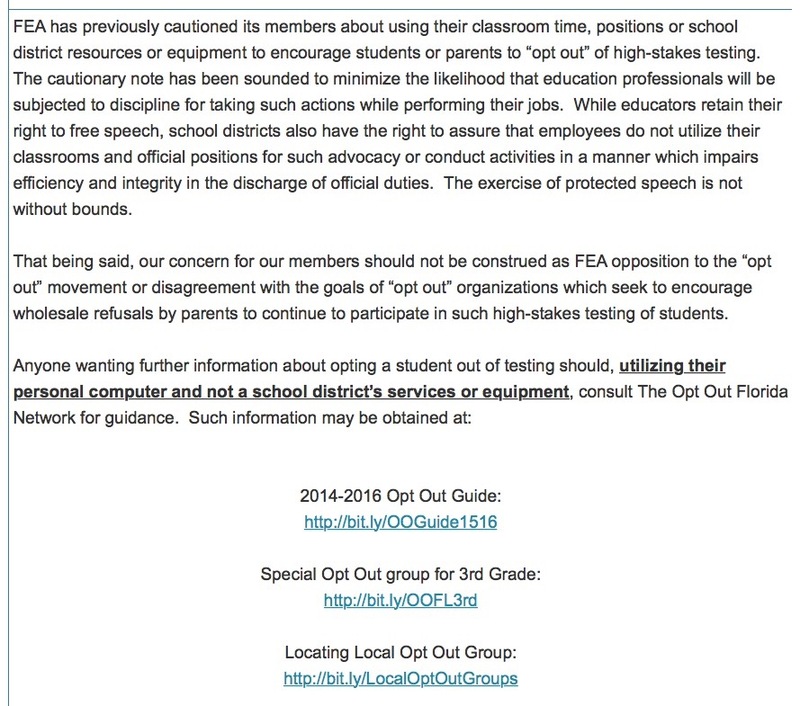 Should you find yourself dizzy from the spinning, there is safe harbor in The Opt Out Florida Network. As we look to another year of uncertainty, may your children be spared the worst of the ed reform storms.